Imam Abdullah Faaruuq (center with head covering) prayed before the start of his mosque’s monthly food distribution effort. It is early morning on Eid al-Fitr, the holiday marking the end of Ramadan, and hundreds of Muslims are streaming into a recreation center in Roxbury to pray. They are Nigerian, Somalian, and African-American; the men in prayer caps and knee-length robes, the women in head scarves and flowing garments. A tall, gray-bearded man moves through the crowd, his handshakes melting into hugs. He spots a toddler on the loose and catches him. 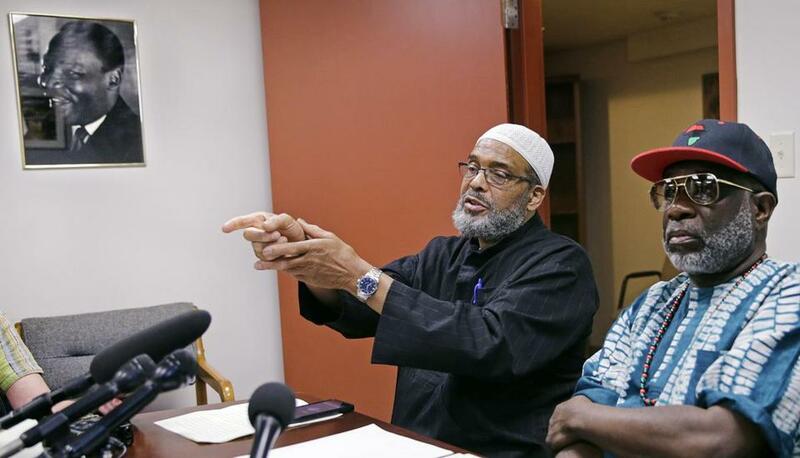 This grandfatherly figure is Imam Jeconiah Abdullah Taalib Faaruuq, who leapt to public attention in June when he accused the Boston police and FBI of murdering a young man who allegedly was an Islamic State sympathizer and lunged at police with a military-style knife. It was hardly surprising coming from the 68-year-old firebrand. His fiery rhetoric and defense of two convicted terrorists have drawn the attention of the FBI and prompted critics to pressure Northeastern University to dismiss him as its volunteer Muslim chaplain. A former doo-wop singer and self-educated convert, Faaruuq has led the Mosque for the Praising of Allah in Roxbury for 20 years. As an African-American, born and reared in Boston, he represents a significant but sometimes marginalized segment of the Muslim community. Faaruuq was formed by the Civil Rights movement; he can sound more like Malcolm X than Martin Luther King Jr. Unlike the politically savvy younger generation of Muslim leaders, he is an unapologetic throwback: a man who distrusts the establishment, and bluntly says so. In a recent sermon — “Who Owns ISIS?” — Faaruuq condemned the terrorist group’s violence, but said, “This type of barbarity pales compared to the type of barbarity that’s been going on for the last 200 years.” He ticked through the casualties wrought by the United States and other Western countries in the American slave trade, the bombing of Hiroshima and Nagasaki, the Vietnam War. Faaruuq says he condemns terrorism unequivocally; Islam, he says, forbids violence and vigilantism. He says he supports the death penalty for Marathon bomber Dzhokhar Tsarnaev. “There is a message that goes out when the death penalty is exacted,” Faaruuq said on WBUR last April. 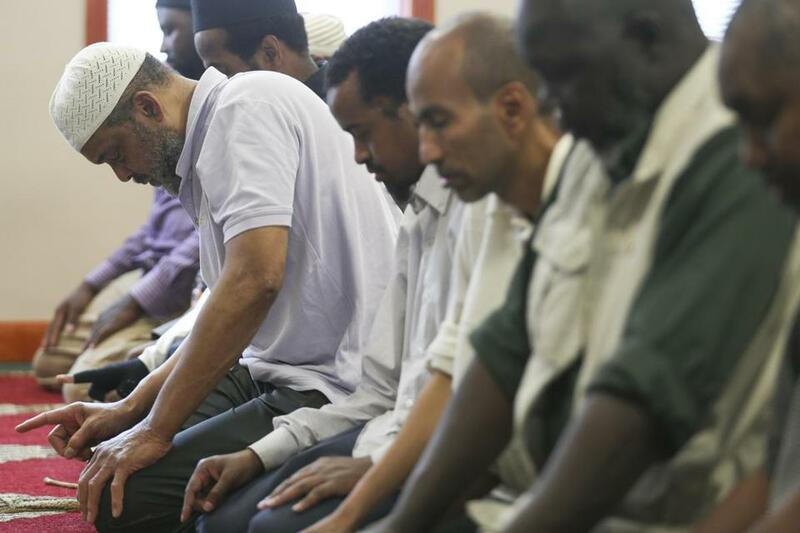 Boston Police Captain Haseeb Hosein, who became the department’s first Muslim captain last October, has known Faaruuq for 25 years and occasionally prays at his mosque. But Faaruuq’s unabashed critiques of American foreign policy, the government’s cases against several accused terrorists, and the treatment of black people and Muslims by law enforcement have riled critics and raised uncomfortable questions in a city still traumatized by the Marathon bombings. Ask Faaruuq what America should do to stop the spread of violent extremism, and he offers America a mirror. Imam Abdullah Faaruuq greeted residents waiting in line at his Roxbury mosque for the monthly food distribution program. On a chill Saturday evening in March 2010, Faaruuq spoke at the Yusuf Mosque in Brighton. Later, he urged the crowd to stand up for Tarek Mehanna, a pharmacy PhD from Sudbury who was awaiting trial on terrorism charges; and Aafia Siddiqui, an MIT-educated Pakistani neuroscientist who had just been convicted of trying to kill American officials in Afghanistan. She is now serving an 86-year prison term; Mehanna is serving 17½ years. “Some people are afraid to get involved with politics and things that are going on, but you know, after they finish with Aafia, they’re going to come to your door, if they feel like it,” Faaruuq said that night, referring to the Patriot Act. In another speech the following year at a Worcester mosque, Faaruuq called Siddiqui “a brave woman” for firing a machine gun at American military officers while she was being held captive in Afghanistan. He said she was “only guilty of defending herself” and sought donations for her defense. Soon enough, the speeches would reach far beyond Faaruuq’s small audiences. Americans for Peace and Tolerance, a group that has accused many local Muslim leaders of being secret radicals, featured the speeches in a 2012 media campaign accusing Faaruuq of promoting Islamist extremism at Northeastern University, where he had served as a volunteer chaplain for five years. Charles Jacobs, president of Americans for Peace and Tolerance, suggested that the imam had helped to radicalize Siddiqui, who attended Faaruuq’s mosque in the 1990s and helped him distribute Korans and other books to state prison inmates. Jacobs also showed clips of Faaruuq at a campus event applauding a virulently anti-Israel speaker. Faaruuq said he has never promoted violence; the “gun and sword” reference was metaphorical, he said, and the government’s cases against Siddiqui and Mehanna seemed to him far-fetched. “I can’t believe any of it if the United States government can’t bring in a little girl without half-killing her,” said Faaruuq, questioning how the diminutive Siddiqui seized a machine gun while in custody and why she was the only one shot during the confrontation. And yes, Faaruuq said, he is a strong critic of Israel’s treatment of the Palestinians, but he is not anti-Semitic, as Jacobs implied. Shortly after he was targeted by Jacobs’s group, though, Faaruuq lost his chaplain’s post at Northeastern; university officials describe it as a restructuring. And his rhetoric attracted the attention of federal investigators, the imam said. He said the FBI paid him a visit several years ago to ask about his outlook. “I said, ‘I’m not trying to tear up America; I want America to be fixed,’ ” Faaruuq said. Other imams, though, speak more cautiously. Talal Eid, a longtime Boston imam who served as chaplain at Brandeis University and Massachusetts General Hospital, and who is now based in Toledo, says he tries to avoid anything that could be construed as inflammatory. “The way we prepare our sermons, we have to be careful how we say it so it won’t be misinterpreted by young people,” he said. Faaruuq, born Jeconiah Barrow, was raised in the South End by a single mother, a Jamaican immigrant who worked as a housecleaner on Beacon Hill. The South End in the 1950s was one of Boston’s most diverse neighborhoods; Faaruuq’s playmates were black, Irish, Chinese, Polish, Syrian. But as he came of age, he says he felt the cut of racism from some whites. 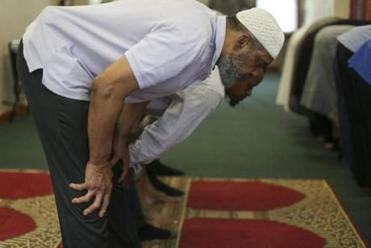 Imam Abdullah Faaruuq, born Jeconiah Barrow, was raised in the South End by a single mother. Mel King, the South End activist, former state legislator, and 1983 candidate for mayor, was a mentor. Faaruuq rode with other youth activists on a bus to the 1963 March on Washington and worked to help children of color get better educational opportunities. “He was very concerned about how youth thought about themselves, their possibilities, their growth,” King said. Faaruuq’s own education was cut short. Bright but unfocused, he was thrown out of English High School in his senior year for disciplinary problems. He and a childhood friend, Beverly Sheets, gutted buildings and cleaned yards. With Sheets, who was mixed race but looked white, and another black friend, they briefly sang three-part harmony in local nightspots as The Equalities. When the group dissolved, Faaruuq scraped by as a singer in New York, driving a taxi to make ends meet. Shuttling back and forth to Boston on a bus to see his children — from an early marriage to an Irish-Catholic woman — he ran across pamphlets handed out by Ansaaru Allah, a sect that mixed Black Power and Islam. Faaruuq, who had grown up Christian, quickly found his way to an orthodox Sunni mosque on the Upper West Side. He read library books about Islam and took Arabic classes. 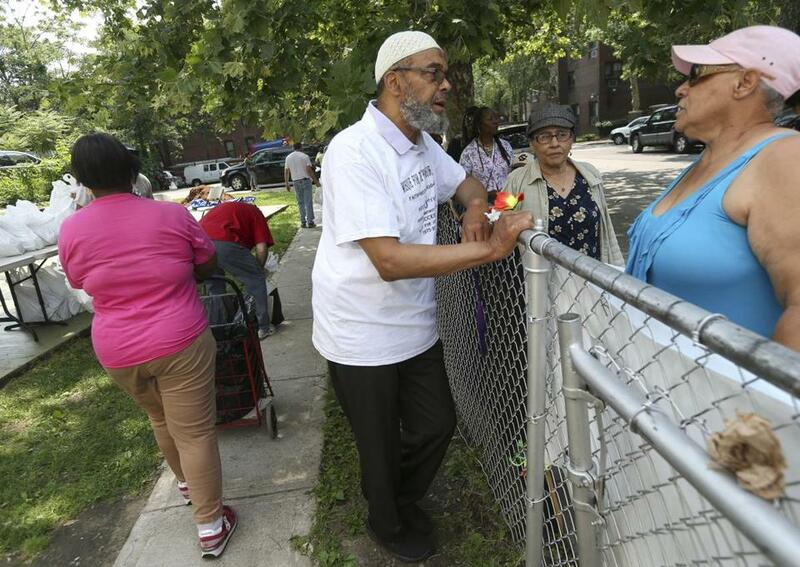 Faaruuq moved back to Boston following a severe illness related to a stabbing he survived in his youth and found his way to the Mosque for the Praising of Allah, a brick row house in Roxbury. By the late 1980s, Faaruuq had become the mosque’s assistant imam. The community was thriving and excited about the future: City officials offered Muslim leaders the chance to develop a large Islamic center on city-owned land in Roxbury. Faaruuq’s predecessor helped start a coalition to work on the project, but it could not raise the money. The Islamic Society of Boston in Cambridge could. It made a separate deal with the city to build what became the Islamic Society of Boston Cultural Center. Today, the 70,000-square-foot cultural center, which opened in 2007, is the largest mosque in New England, drawing a young, ethnically diverse crowd. Faaruuq’s mosque has persisted in its shadow. Next to the cultural center’s first two imams, both of whom were educated at the prestigious Al-Azhar University in Cairo, Faaruuq is a kind of neighborhood preacher, speaking careful Arabic and relying on knowledge drawn from a lifetime of self-study. He has supplemented his income by working as a building superintendent and as a longtime Muslim chaplain for the Department of Correction. The department fired him in 2007 for bringing a cellphone into a prison. It was inadvertent, Faaruuq says. Faaruuq sees himself as a cleric who draws strength from his community roots. As an African-American, he feels he is uniquely positioned to teach immigrant Muslims about resisting what he calls “the oppression of the soul” that he says black people and Muslims often experience. His small mosque is a friendly place. Its humanitarian arm, the Islamic Multi-Service Organization, is dedicated to helping those in need. On a scorching Sunday afternoon during Ramadan this summer, Faaruuq stood in a side yard of the mosque, handing out bags of groceries to mostly non-Muslim neighbors for the monthly food pantry. The imam greeted the elderly Hispanic women who arrived pulling carts. “Un poco caliente,” he said. A congregant arrived with a soul food feast she had cooked for the mosque’s iftar, or fast-breaking meal, that evening: corn on the cob, macaroni and cheese, collard greens, barbecued chicken, fried fish, sweet potato pie. “It’s like a family,” said Ali Faarah, 28, an Ethiopian immigrant who lives in Roxbury. In June, reporters were awaiting a press conference with Usaamah Rahim’s family and their lawyer in the parking lot where the 26-year-old African-American Muslim had been shot to death by law enforcement personnel two days earlier. The authorities say surveillance of Rahim’s phone conversations showed that he had become radicalized and had imminent plans to kill police officers. Faaruuq, who was handling Rahim’s funeral the next day, came to support the family; he arrived first. He was emotional, he said later; Rahim attended his mosque about twice a month, and the young man’s older brother and mother were regulars. The reporters pounced, and Faaruuq wound up holding an impromptu news conference. He called law enforcement “reckless” for approaching Rahim amid the morning rush hour and suggested that Rahim’s race may have played a role in his death. “I ask that God overlook the shortcomings of the people who continue to exist who murdered the young man,” he said. At a June news conference, Faaruuq discussed the shooting of Usaamah Rahim. Mel King says he immediately understood what Faaruuq was trying to do: raise questions about police tactics and whether race had been an issue. But some Muslim leaders recoiled. Faaruuq had been among a small group of Muslim leaders invited by police to view surveillance video of the shooting before its public release. After seeing the footage, the group issued a statement confirming that Rahim did not appear to have been shot in the back, as Rahim’s brother initially alleged, and that the video seemed to show officers retreating before Rahim went down, although it was impossible to see whether he was armed. Faaruuq allowed that he had perhaps spoken too harshly about the officers’ intentions. To the relief of other Muslim leaders, he held another news conference and apologized. But the imam has not stopped questioning why the police couldn’t have taken Rahim alive. “If nobody speaks up, then what’s going to happen?” said his wife, Sufia Hassan, principal of the Noble Academy, a Muslim school in Quincy. But Faaruuq, who has three biological children, two adopted children, and eight stepchildren, sees himself as more of an advocate than a provocateur. He has mentored hundreds of young boys in religious classes and on his mosque’s basketball team, taking pride in seeing them go to college, enter the workforce, and bring their own children to his mosque. In his Saturday religious classes, he mixes chatter about sports with religious instruction. He chides the boys to turn off their cellphones in hopes that they will absorb what Islam has to teach about self-discipline and healthy living. He says he is teaching them to be all-American kids. Lisa Wangsness can be reached at lisa.wangsness@globe.com. Shelley Murphy can be reached at shelley.murphy@globe.com.